In 2012 some of my students who belonged to a community service club that I started at my school asked, if they could create a service project that they could develop and grow from the ground up. We researched ideas and came up with helping and serving children that were living in a homeless environment, specifically homeless shelters and domestic violence shelters. 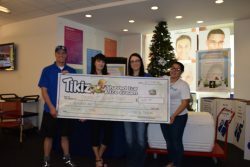 We wanted to involve the members of our community and make it something that would impact not only the children on the receiving end but those that were doing the efforts to provide for these specific children. 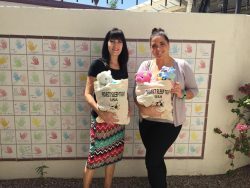 Through many hours of planning and organizing we came up with Project Sleep Tight, a tote bag filled with emotional security items for children less fortunate that need to feel loved. Since then we have gone from 3 shelters to over 20 in three states, Arizona, Utah and Alaska. We started with filling 500 totes the first year to over 1500 in our third year! We are excited and thrilled to be growing and helping more children across the nation. I am a wife, mother, sister, grandmother, friend and a retired school teacher. 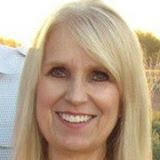 I just recently retired from teaching in the public school system in Arizona for over 20 years. Since I no longer am in the classroom with the help of students, I had to come up with an alternate solution on how to fill the tote bags. Social Media has been a life saver. Now, local community members, scout troops, sports teams, schools, churches, etc. 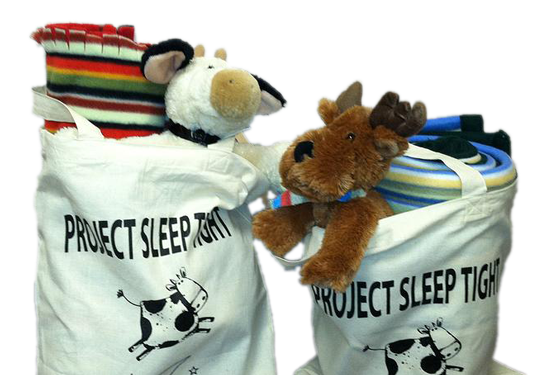 volunteer their time to collect, organize and fill Project Sleep Tight tote bags. Humanity is wonderful! I am so touched that people care about and want to help those less fortunate. We are humanitarians.. We are young, we are old. We are ambitious, compassionate, and love to give back. We are individuals who are ready to make a difference in this world and have an impact on our cause. As a non-profit, our team is completely compiled of passionate volunteers who want to make a difference in the lives of homeless, foster care, and refugee children across the U.S. By building awareness and fundraising we hope to better the lives of these children and give them a sense of security in their sometimes unpredictable world.